Glass Nation knows everything about Santa Cruz Shredder Grinders. There are so many different sizes, colors and shapes of Santa Cruz Shredder grinders. 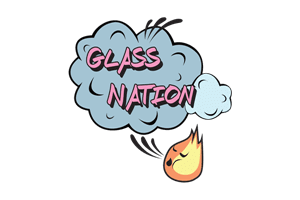 Glass Nation knows about them all and has a huge and ever growing selection of Santa Cruz grinder products. You don’t have to settle for a low quality plastic grinders or cheap aluminum grinders whose paint chips off in your herbs. These are some of the most high quality herb grinders on the market: hands down. Whether you are looking for a two piece grinder or a four piece grinder these guys have you covered with the highest quality product imaginable. This is a grinder purchase that will last you the rest of your life. Especially with their limited lifetime warranty. Their grinders are scratch resistant, not scratch proof or dent proof. As a result you shouldn’t test it by throwing it out of a moving vehicle or a rooftop.